economic forecaster, angel investor, board director, and Wall Street Journal bestselling author — is the publisher of Forbes Magazine. where he writes a biweekly column known for its witty and honest assessment of current business issues, a regular panelist on cable news' most popular business show, Forbes on FOX, and was a frequent guest analyst on CNBC's The Kudlow Report. Rich just released the #1 Amazon bestseller in strategy and competition, The Soft Edge: Where Great Companies Find Lasting Success. Tom Peters wrote the Foreword, and Clayton Christensen wrote the Afterward. 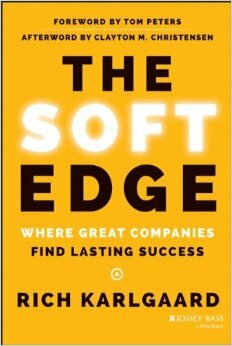 In his latest book, The Soft Edge: Where Great Companies Find Lasting Success (April 2014), Karlgaard shares a surprising third element in addition to high performance and superb execution that’s required to gain the competitive advantage. Mr. Karlgaard is a serial entrepreneur. He has launched Upside and Forbes ASAP magazines, the venture capital firm Garage Technology Ventures, and Silicon Valley’s premier business and technology forum, 7500-member Churchill Club. For this and other achievements, Rich is a past winner of the Ernst & Young “Entrepreneur of the Year” award. 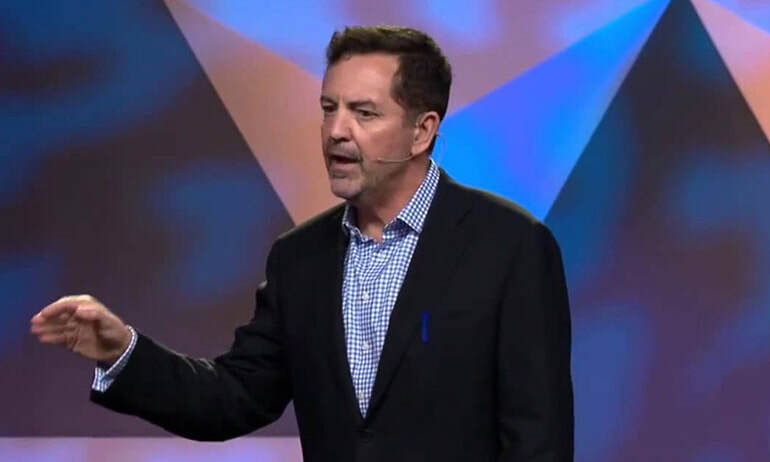 economic forecaster, entrepreneur-turned-publisher, angel investor, board director, and Wall Street Journal bestselling author–helps leaders everywhere see the fast-moving world with new eyes. More than just a business journalist, Karlgaard as a private investor and board director understands firsthand the difficulties of navigating in today's business climate and the opportunities available to those who have the courage to reach out for them. His assessment of the current business issues and trends gives audiences solid insights they can use to make better business and investment decisions. Karlgaard, who speaks without notes, has a remarkable ability to connect with his audience. He shows his quick mind and even quicker good sense of humor during lively, unscripted question and answer periods. Karlgaard is unfailingly gracious, putting his insights out for others to consider in a way that helps them see the events that are changing their world—especially the impact of Washington politics on the environment for business and invention. Rich’s experience makes him uniquely qualified to address virtually any audience. As the longtime publisher of Forbes magazine, he has enjoyed unprecedented access to the world’s top game-changing leaders, organizations, and research. As a practitioner himself, Rich knows what organizations and leaders face every day. And as a speaker, Rich knows that his job is to help each audience better understand the accelerating forces in today’s landscape. Beyond that, however, Rich can also offer newly-designed tools that help leaders everywhere attain greater levels of insight, performance, and competitive advantage. Rich Karlgaard was raised in Bismarck, North Dakota, and graduated from Stanford University. He lives with his family in Silicon Valley. Rich elaborates on business, politics, the economy, reforms, and the pending 2016 elections. Audiences will walk away with startling new discoveries of what’s now driving change, and how they can now prepare for the inevitable disruptions. Rich delivers an update of post-recession basics, shares fresh stories of winners and losers, and forecasts a few shockers. Audiences will walk away with a targeted list of innovations — some of which will likely bullet-proof their future. THE NEW SCIENCE OF TEAMS: Managing for Collaboration and Innovation. Rich previews his next book (co-authored with Michael S. Malone and published by HarperCollins in 2015) which drills deeply into how leaders at all levels can start to engage “the genius” of teams once and for all — and drive sustainable innovation. Audiences will walk away with a new model for managing teams, plus prescriptive assessments that every leader (in any field, in any-sized organization) can use to start generating unexpected outcomes.